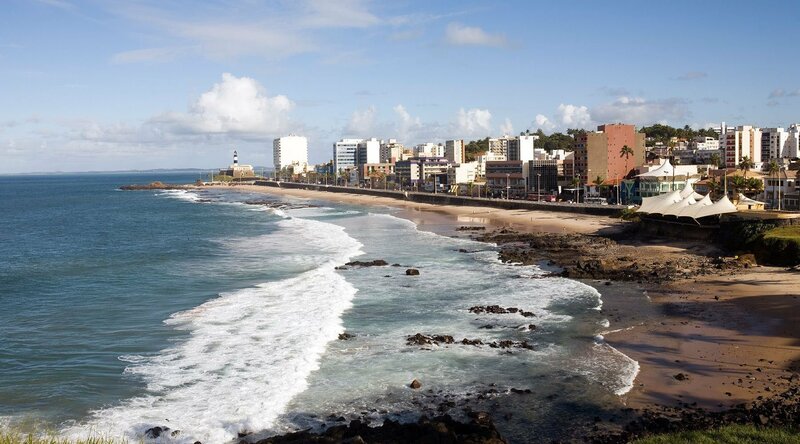 Brazil’s first colonial capital, today Salvador is an energetic, vibrant city rich in Afro-Brazilian culture. African rhythms are a part of Salvador’s local fabric, and you can hear and feel them everywhere—from Capoeira, a mix of martial arts and dance, to Candomble, a religion of ritual and magic that originated in Africa. Pelourinho, the city’s historic center, is an architectural jewel, with an array of opulent churches—carved and embellished with an abundance of gold leaf. The slaves who built much of Pelourinho were not allowed inside once work was complete. Barred from their creation, they labored at night for a century to build a beautiful church for themselves—Our Lady of the Rosary. Salvador is home to many delicious local dishes you’ll want to try, including acarajé—bean and shrimp fritters. Acarajé blends Brazilian and African culinary influences, resulting in a flavorful snack that is perfectly portable. Grab a few and make your way to the bustling Mercado Modelo to browse and bargain with local vendors. The fitas (colored ribbons) you’ll see throughout your time in Salvador originate here—a famous 18th-century church that has become a symbol for the region. During your visit, be sure to tie a fita around your wrist. Each knot you tie represents a wish that will come true by the time the fita falls off. A UNESCO World Heritage Site, the district of Pelourinho is home to cobblestone streets, classic colonial buildings, and gold-laden churches. With monuments dating back hundreds of years, as well as museums, galleries, and restaurants that line the streets, it’s the perfect spot to dive in for a taste of authentic Brazilian culture. Housing an eclectic mix of treasures—like the city itself—the Cidade Museum is a unique collection of exhibits that range from costumes and artifacts from colonial life to paintings, sculptures, and a collection of items belonging to the famous Brazilian poet Castro Alves. Visit the Candeal community project where you'll support children's music education and enjoy a percussion workshop in a neighborhood that is home to some of Brazil's most celebrated percussionists. Immerse yourself in Salvador's culture on this evening art walk that takes you to the Jorge Amado Memorial House and to Barra's historic forts. Discover Salvador's art scene on adventure that takes you to meet local artists at the ateliers in Salvador's Pelourinho old town, an UNESCO World Heritage Site.